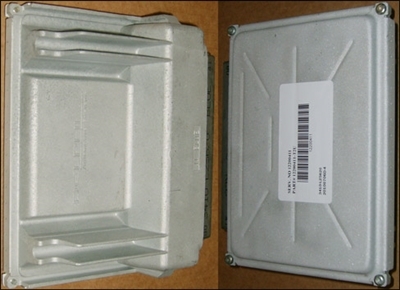 These PCMs are part number 12200411. They are certified remanufactured units with clean, bead blasted cases and new internal seals. Many other places sell these PCMs for $300-$500 and often ask for a core! These PCMs are only $105 with default programming. That means, unless you purchase specific programming for them, they are "blank". They are not truly blank, but they could be whatever vehicle they "were" in a previous life before remanufacture. These PCMs are available with default programming that is found in the 12200411 PCMs. That means that there is "nothing on them" as-is. Their common use for replacement is 1999-2002 F-bodies, 1999-2003 C5 Corvettes, GenIII trucks, and LS1 swap projects. Matching harnesses will have Blue and Red connectors. Check the Supported Vehicles tab to see the complete list. Additional or custom programming is available at extra cost.